Visual Studio 2013 is a version of the software that lets you create new software apps for using on your computer. It's essentially a newer version of Visual Basic designed by Microsoft for use on Windows computers. Have you ever found yourself wishing that there was an easier way to use your computer? Maybe you came up with an idea for an app, and then life got in the way. Designing and creating a new app can take a lot of time, and you may find that you lack the experience necessary to create the exact design that you want. 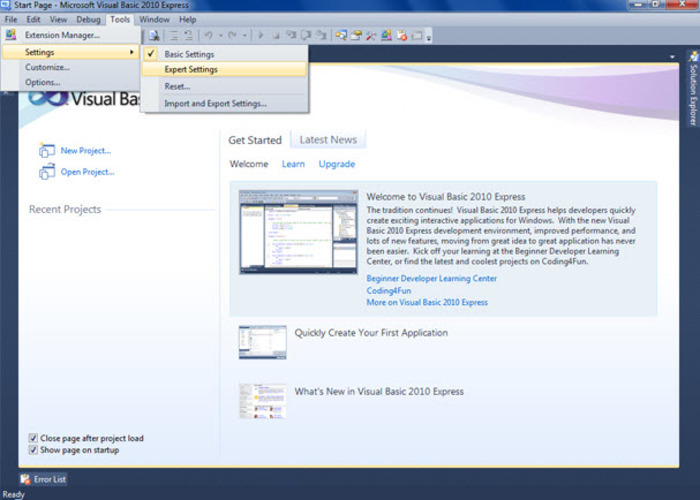 With Visual Studio 2013, you can get some help designing and building an app you can name. Though the program does help you with each step of your app, you should keep in mind that this is generally best for those who have more experience. The interface may look confusing, and you'll likely have some problems with coding as a beginner. If you have coding skills and just need a little extra help writing code for a new app, this is a good option. Visual Studio 2013 actually gives you several different options regarding the type of apps you can design. You can design an app for use with Windows forms, WPF apps, apps for use on consoles, or even apps that work with your browser. The very top of the program features a toolbar that lets you easily access all the settings and features in the program. There is even a settings menu for basic or advanced users, and the program lets you import your settings from previous apps too. Unlike similar programs that hold you responsible for each decision and change you make, Visual Studio 2013 has a built-in checker. The checker will look for any mistakes that will keep your finished app from running properly. It can even automatically correct any mistakes that it comes across to ensure that your final app runs exactly the way you need it to run. While Visual Studio 2013 comes with customized settings and advanced features for experts and professionals, it's really best for those who have more experience. If you never coded or designed apps before, it may take weeks or even months before you feel comfortable and confident using Visual Studio 2013 for your app designs.